Remember when we used to think that dietary fat was bad? We believed that "fat makes you fat", but now know that obesity is more complex than just overeating a single nutrient. Research has now shed more light on the benefits of fat. It can help quell inflammation, assist with weight control and protect against heart disease, diabetes and cognitive decline. But before you dive head first into a vat of lard, the type of fat you choose matters. Your best bets are foods that are high in monounsaturated and omega-3 polyunsaturated fats - especially when these foods replace items that are high in trans fat or sugar. You can get more of these beneficial fats by adding fish, nuts, seeds, oil and avocado to your meals. Here are four fat-rich foods to try. A quarter cup serving of almonds has 6g of protein, 13g of "good" monounsaturated fat, and is a source of fibre, vitamin E and magnesium. Almonds are a great snack, especially when they replace less nutritious alternatives like chips or pastries. This was highlighted in a recent study published in the Journal of Nutrition. In a randomised controlled trial, researchers compared adults who snacked daily on 42.5g of almonds with those who ate a banana muffin instead (both snacks had the same calories). "The group that snacked on almonds had lower LDL (bad) cholesterol levels, but elevated levels of good alpha-1 HDL cholesterol," explained Dr Penny Kris-Etherton, one of the researchers. Alpha-1 HDL is the form of cholesterol that is known to be most protective against heart disease. So snack on a handful of almonds, or sprinkle them on salads, soups or yogurt. This unctuous, silky fruit is not only high in fibre and monounsaturated fat, but also contains lutein, a plant pigment that provides its greenish-yellow hue. A recent study by Tufts University looked at how lutein in avocado can positively affect cognition in older adults. Researchers compared adults aged 50 and above whose diets included an avocado a day with a control group. They learnt that avocado eaters had increased lutein levels, significantly improved memory and better problem-solving skills. And while there is lutein in leafy greens too, it is not as well absorbed by the body because greens contain little fat. "The monounsaturated fat in avocados increases absorption of fat-soluble lutein, and it positively influences lutein's transport into tissue," said Professor Elizabeth Johnson, who led the study. Add cubed avocado to salads or atop chilli, blend it into soups and smoothies, or dip into some guacamole. Avocado oil is great too. About 65 per cent of the fat in chia seeds is an omega-3 fat called alpha-linolenic acid (ALA). It is an essential fat that we need to get from food because the body cannot make it. Chia is one of the best sources of omega-3 fats. Research shows that the omega-3 fats from fish have the strongest health benefit, but the plant-based ones have some potential too. ALA may protect the brain against strokes, and is associated with a reduced risk of heart disease. Studies on chia seeds show that they can help reduce blood pressure, control appetite and regulate blood sugar. These interesting seeds soak up liquid to form a gel, so they are a great addition to oatmeal, yogurt or pudding. They can be used to replace eggs while baking, or to thicken soups and gravies. This liquid gold is a staple in most kitchens, and for good reason. Filled with monounsaturated fats, it is recommended for heart health. 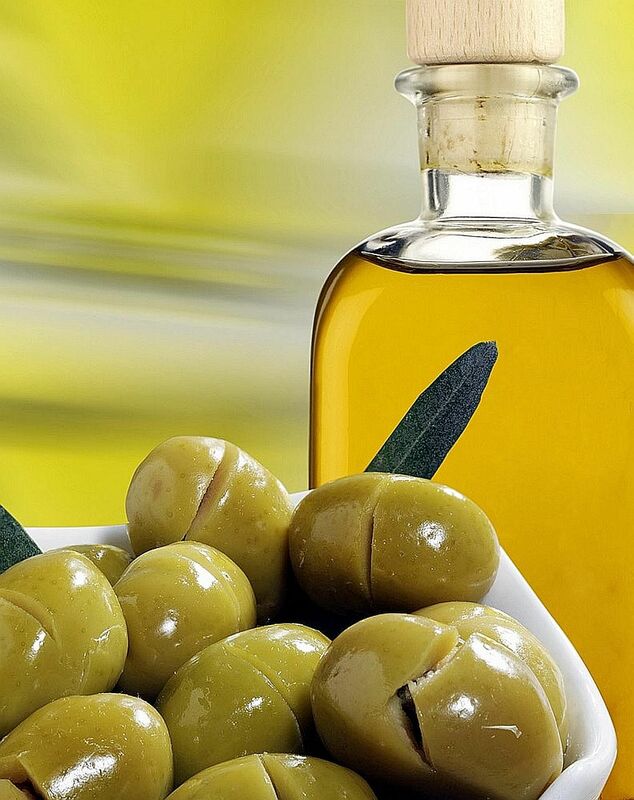 Consuming three tablespoons of olive oil per day has been shown to reduce the risk of developing heart disease by 37 per cent. It has also been linked to fighting inflammation, assisting with better cholesterol and blood pressure levels, and helping with weight maintenance. Another perk: Olive oil helps your body absorb the fat-soluble vitamins and antioxidants in vegetables, so it is a perfect salad-dressing ingredient. All these fatty foods have another bonus - they enhance the flavour of your meals. Yep, fat carries flavour and adds mouth feel. But remember, researchers use high amounts of fatty foods in their studies. You are not part of a clinical trial and do not need to consume these amounts. 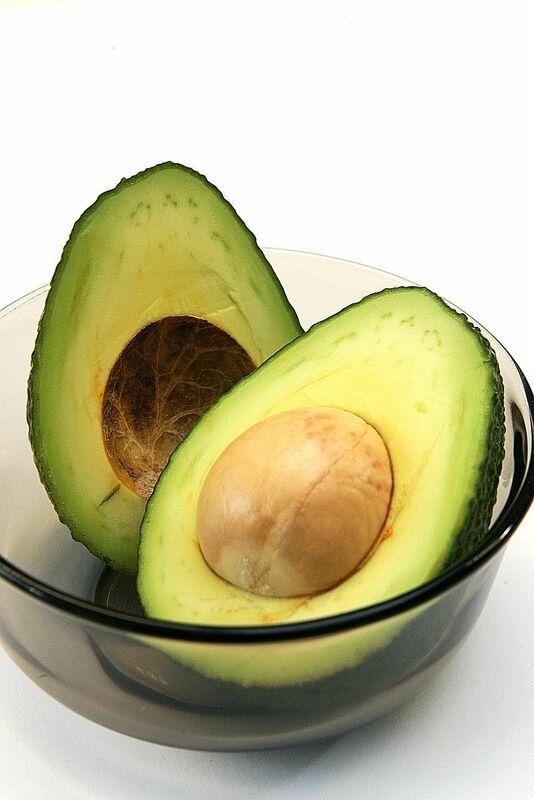 If you add a whole avocado and three tablespoons of oil to your daily diet, you will get too many calories. So be practical. • Registered dietitian Cara Rosenbloom is president of Words to Eat By, a nutrition communications company specialising in writing, nutrition education and recipe development.